Want me to let you in on a customer service secret? When a rep tells you they need to look into your case more and will have to follow up, most aren't rushing over to an expert to solve your problem. Instead, after the rep hangs up the phone he or she is probably taking another customer's phone call. Don't take it personally though, there's a method to this madness. The rep is probably using an automated ticketing system that helps them keep track of their open cases. So, while the customer service rep is listening to the next customer's problem, they are simultaneously pinging a specialist to take a look at your case. When the specialist has an update, the rep can then relay the information to the customer via the ticket. The ticketing system creates an organized communication channel that significantly improves the rep's productivity. As your company continues to grow and expand its customer base, your help desk may be ready to adopt a ticketing system. However, before you do it's important to know what a ticketing system does and how it can improve your reps' daily workflow. A ticketing system is a customer service tool that helps companies manage their service and support cases. The system or app creates a "ticket" which documents customer requests and interactions over time, making it easier for customer service reps to resolve complicated issues. Ticketing systems help customer service teams prioritize their assignments, so they can create a more enjoyable customer experience. How does a ticketing system work? A ticketing system works by first creating a document, or "ticket," that records the interactions on a support or service case. The ticket is shared between both the rep and the customer and logs their communication to one continuous thread. If there's any confusion, or if a detail is overlooked, both parties can refer back to the thread at any point to review past information on the case. Once the ticket is created, reps can then work on the issue on their end. When they have updates or a resolution, they can alert the customer via the ticket. If the customer has any questions in the meantime, they too can use the ticket to communicate with the customer service rep. The ticketing system then alerts the rep that there has been a response logged on the ticket, and the rep can address it immediately. When the issue has finally been resolved, either the rep or the customer can close the ticket. Tickets can be reopened though if either party has any additional follow-up questions or requests. Instead of having to create a brand-new ticket with a different rep, the customer has access to the same person that they worked with before and can continue where they left off. Some ticketing systems even include built-in customer feedback tools like NPS® which can collect customer reviews every time a ticket is closed. The more customers that you have interacting with your business will lead to a higher volume of customer support and service cases. Unless you hire more customer service reps to match the rising demand, this uptick puts more pressure on your team to multi-task and resolve problems simultaneously. Adding a ticketing system to your help desk is a great way to overcome this roadblock as it provides scalable solutions for your customer service reps.
Below are some of the main reasons why growing companies should consider adopting a ticketing system for their customer service and support teams. The most obvious benefit that a ticketing system offers is its ability to organize and catalog a high volume of support cases for an entire customer service department. Reps can easily manage multiple cases at once because each ticket is labeled and can be prioritized by its urgency. This comes in handy when dealing with critical situations where customers are filing large amounts of support and service tickets regarding a specific issue. A ticketing system helps you identify and segment these cases so that a designated task force can quickly address them in bulk. Another benefit of the ticketing system is the centralization of information. The tickets are all stored into one software that can be searched and referenced for future cases. Not only does that help with customer service analytics, but reps can also use it to look up past cases that may have a solution related to their present problem. If your company is offering an omni-channel support experience, then a ticketing system can help your team consolidate communication into one thread. The benefit of omni-channel support is that customers can access your customer service teams using a variety of different communication channels. However, the downside of this is that customers may not consistently use the same channel when troubleshooting an individual support or service issue. They may start by tweeting at your team, then calling for an update, all while expecting you to email them for the follow up. This can make communication really confusing especially for reps who deal with over 20 customers a day. Ticketing systems eliminate this problem by moving all communication to one individual thread. No matter which medium the customer uses to reach out, the interaction is always logged to the same place. Even if the customer ends up working with a different rep, that communication can be transferred over to the original ticket. By consolidating information to one thread, your customer service team will be less likely to miss important details that may lead to a faster resolution. With communication being limited to one shared location, ticketing systems make it easy for both the customer and customer service rep to communicate with one another. Customers can quickly access a ticket via their email inbox and send questions directly to the rep who is handling their case. This gives the customer a sense of empowerment as they feel they have a direct line to their customer service rep rather than a generic support inbox. The accessibility factor also benefits the rep because it puts less pressure on them to quickly resolve cases. Since customers don't have access to their personal email address, reps can work at their own pace without being bombarded by messages from impatient customers. Reps can also set communication expectations when creating the ticket so that customers know what to expect moving forward. This gives some power to the customer service team because it allows reps to dictate the pace of communication on their support tickets. By providing that type of transparency to the customer, it creates a more trustworthy experience and improves customer satisfaction. Now that you know what a ticketing system is as well as how it can improve the customer experience, you may be eager to explore potential options. In the next section, we listed some of the best ticketing system software that we would recommend adopting for your customer service team. Ticketing systems typically come as a featured part of most help desk software. Depending on which one you choose, each system can offer unique features that benefit your team in different ways. When looking for a ticketing system for your company, it's important to consider both your customer's needs as well as your employee's workflow. Here are five ticketing systems that we believe will meet the demands of any customer service team. HappyFox is a help desk software that provides a ticket automation feature as one of its main offers. Its ticketing system includes pre-fill ticket properties that make it easier for reps to create and assign tickets. It also includes ticket templates that can be shared with reps across the entire team. This helps your team create a uniform layout for all of your tickets thus creating consistent branding for your customer service team. LiveAgent's software automatically turns all of your communications with your customers into tickets. Then, it organizes and transfers the tickets to the appropriate employee or shared inbox. This helps employees streamline information across other departments that are outside of customer service. LiveAgent's offering also comes with forum, knowledge base, and FAQ tools that supplement the ticketing system. 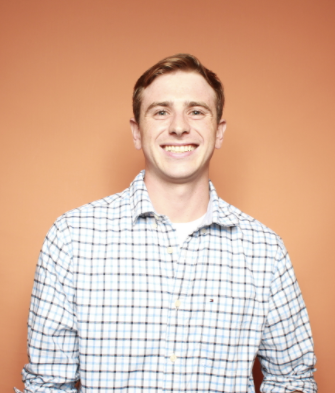 HubSpot's help desk tools record, organize and track tickets all in one dashboard. Your team can see the status of the ticket, where it stands in your queue, and how long it's taking to resolve the ticket. The ticket is also synced to the customer's record in the CRM so that the customer service rep can view the customer's past engagements with the company. This combination of quantitative and qualitative data being readily available gives the rep more opportunities to improve the customer experience. 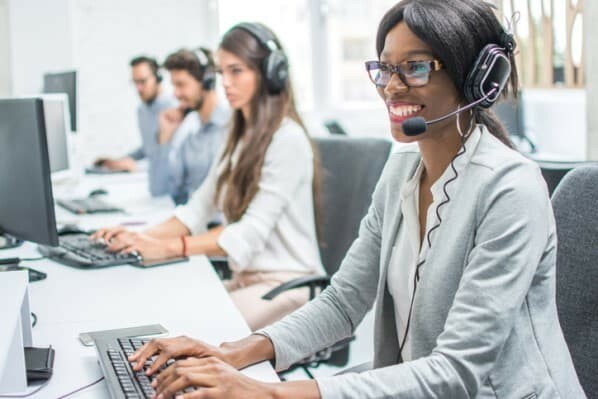 HubSpot's ServiceHub tools can also benefit customer service managers because they can use metrics like agent response time and ticket volume to effectively manage customer demand. A manager can analyze this data then coach his or her team on topics where they may need improvement. They can also relay these common roadblocks to the product development team who can take these cases into consideration when creating new products. Front aims to connect your entire customer service department by creating a help desk software that can be shared throughout your entire team. Front's ticketing system includes shared support inboxes that can be viewed by any employee at the company. Shared inboxes use an individual email address to collect service requests into one central inbox. Individuals can then assign a ticket to themselves and respond to it from their personal email address. Front also offers a shared drafts tool where employees can help each other with service and support cases. Responses to customer emails can be shared to the entire team and teammates can provide comments to each other using a tagging feature. This makes it much easier for customer service reps to collaborate on complicated issues in real-time. AzureDesk is unique because it's ticketing system supports an unlimited number of email addresses. Users can connect as many emails as they would like, making it easy for you to include your entire customer service team. AzureDesk also makes it easier to integrate other support apps like JIRA and Slack into their ticket system because they provide a flexible API structure that's supportive of most customer service integrations. To continue improving your customer service team, read about some essential customer support resources.